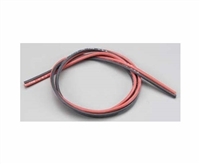 Deans Products Wire Plug Etc. This is a low-resistance, compact-size 2-Pin Ultra Plug Connector. Includes: One 2-Pin Male Ultra Plug WSDM1302 One 2-Pin Female Ultra Plug WSDM1303. 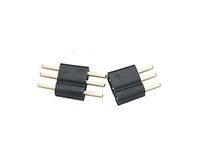 This is a low-resistance, compact-size Male 2-Pin Ultra Plug Connector. 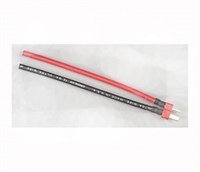 This design eliminates the possiblility of reverse polarity connections and provides a secure connection for battery and motor connections. Two 2-Pin Male Ultra Plug and four shot pieces of black shrink tubing. 2ft. 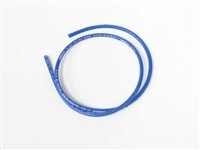 Deans Ultra Wire 12 Gauge in Blue Color cut from Deans P.N. 1423. This is a Low-Resistance, Compact-Size 2-Pin Female Ultra Plug Connector. Includes: 4 X Female 2-Pin Ultra Plugs.